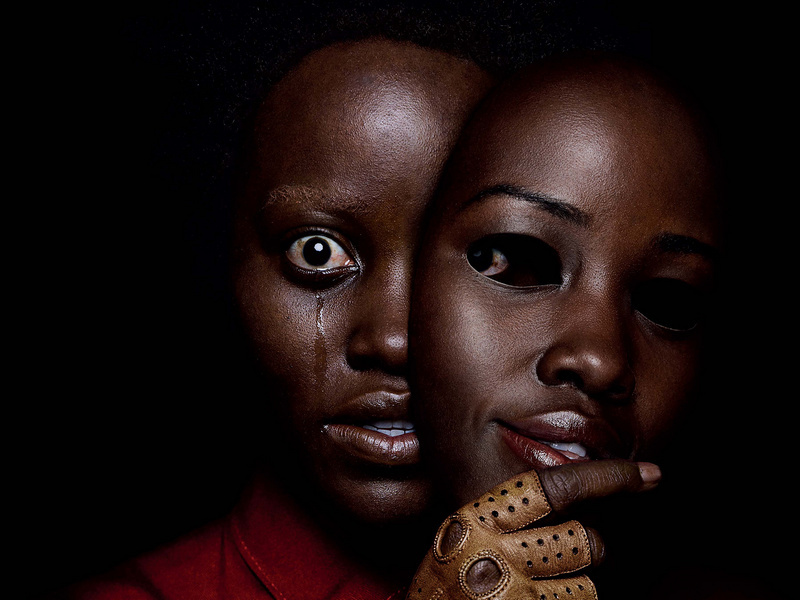 Jordan Peele’s horror film Us dominated the cinemas this weekend, scaring Captain Marvel away from the top of the box office and earning over $71 million in the process. According to the Box Office Mojo, Us delivered the second largest opening ever for a live-action, original film. Produced for a mere $20 million, this is Jordan Peele’s second feature film after his 2017’s Academy Award-winning horror Get Out. Us features Winston Duke (Black Panther), Lupita Nyong’o (12 Years a Slave), Elisabeth Moss (The Handmaid’s Tale) and Tim Heidecker (Tim and Eric Awesome Show, Great Job!). 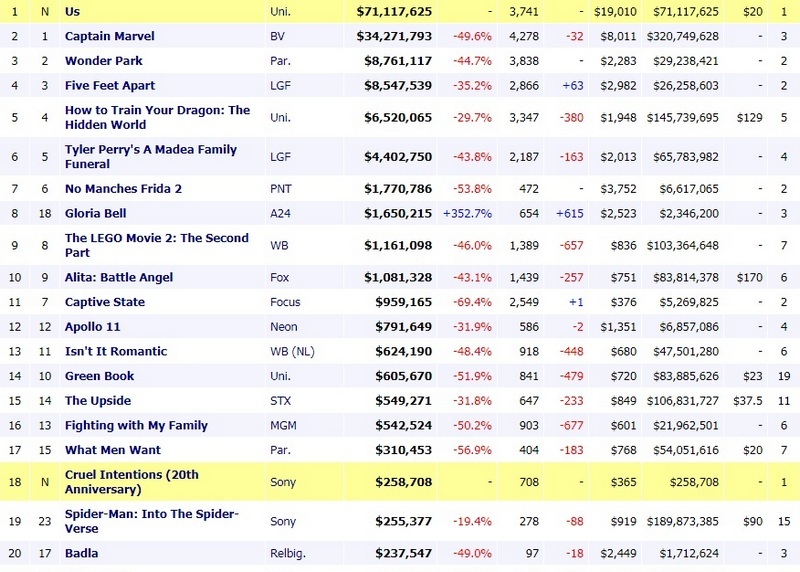 After two weeks at the top, superhero blockbuster Captain Marvel is now in second place, with a weekend box office gross of $34,2 million. And yet, its success is impressive: Captain Marvel‘s current worldwide gross stands at over $911 million. CGI-animated children’s adventure film Wonder Park is now in third place with $8,7 million. In fourth place with $8,5 million is the romantic drama Five Feet Apart starring Haley Lu Richardson (The Edge of Seventeen) and Cole Sprouse (Riverdale). Finally, in fifth place of the weekend box office is yet another CGI-animated film How to Train Your Dragon: The Hidden World, with a weekend gross of $6,5 million. 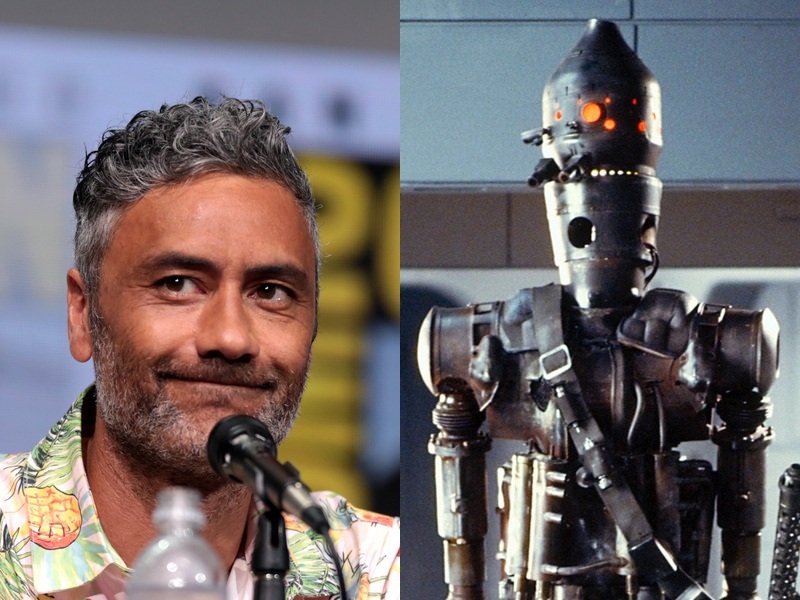 AVClub reports that New Zealand filmmaker Taika Waititi (Thor: Ragnarok, What We Do In The Shadows) will not only direct an episode of the upcoming Star Wars Western series The Mandalorian but will also voice one of its villains – assassination droid IG-88. First appearing in Empire Strikes Back, IG-88 is one of the seedy bounty hunters hired by Darth Vader to track down and capture the Millennium Falcon and its crew of rebel scum. Waititi will be joined by the acclaimed German filmmaker Werner Herzog (Aguirre, the Wrath of God) who, according to a recent article by Geek Tyrant, will also portray a villain in the upcoming series. This is hardly a first for Herzog who in recent years appeared on shows like Parks and Recreation and voiced characters in animated TV shows like Rick and Morty and The Simpsons. Produced by Jon Favreau (Iron Man), The Mandalorian is shaping up to be by far the most entertaining new show to debut on Disney’s streaming service Disney+. Its exact release date is, as yet, unknown. Christmas is early this year! 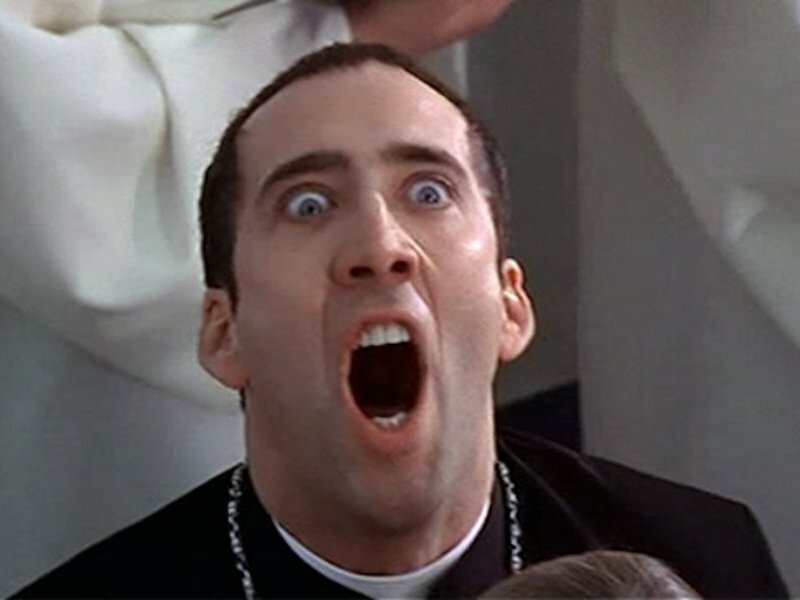 /film reports that Nicolas Cage will appear in an upcoming action film Jiu Jitsu in which heroes fight against alien invasion using the power of martial arts! Jiu Jitsu is the brainchild of Dimitri Logothetis, a long-time Hollywood producer, director, writer, and actor. He is best known for his two Kickboxer sequels – Kickboxer: Vengeance (2016) and Kickboxer: Retaliation (2018) – that introduced a new generation to this venerable 1980s movie franchise. Now, Logothetis is taking martial arts movie in a bold new sci-fi direction, using a comic book he helped create as the movie’s basis because of course he is. Jiu Jitsu will feature Alain Moussi, a stuntman, and actor who already played lead roles in the last two Kickboxer films. Cage will most likely play a mentor figure, preparing Moussi’s character for a showdown against aliens that every so often test the mettle of the Earth’s mightiest warriors. If we lose, we get invaded. If this premise sounds a bit like the Mortal Kombat movie, you’re probably right. Nicolas Cage is far from a bad actor: a cursory look at his career includes titles such as Leaving Las Vegas (1995), Adaptation (2002), Matchstick Men (2003) and Lord of War (2005). And yet, he is equally (in) famous for his bigger-than-life performances in movies like Face/Off (1997), Bad Lieutenant: Port of Call New Orleans (2009), Ghost Rider: Spirit of Vengeance (2011) and Mandy (2018). Hopefully, Jiu Jitsu will give us another magnificent and memorable Cageformance.